With Watford officially confirming the signing of Domingos Quina, West Ham have made a major transfer blunder. The Hornets confirmed the signing of Quina from the Hammers on their official Twitter account. The 18-year-old joins the Vicarage Road outfit on a four-year deal, with an additional 12 months in the club’s favour. As reported by Guardian journalist Jacob Steinburg on his official Twitter account, the fee for the midfielder is an initial fee of just £1million, with another £1million in potential add-ons and a 10% sell on fee. 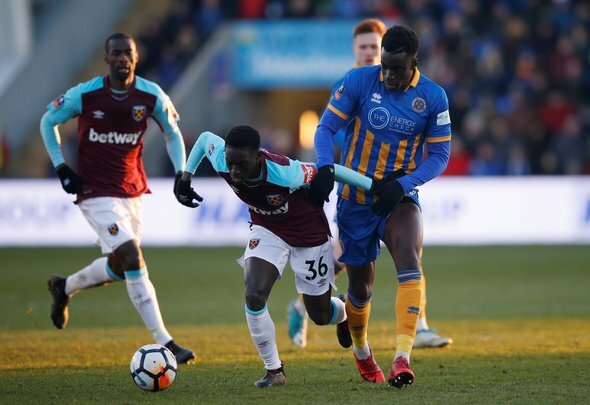 The report from the trusted journalist also reveals that the Hammers would have lost the wonderkid for nothing next summer as his contract would have expired and the club and player couldn’t agree a new deal. Even so, this could turn into a massive transfer mistake for West Ham. The central attacking midfielder is a superb talent who can be whoever he wants to be, such is the level of his ability and the potential he has. Technically, he’s faultless. He’s a brilliant passer of the ball, with a range of passing, short, long and can find people in difficult positions. He’s also an exciting dribbler, able to breeze past opponents at will and has a real turn of speed which allows him to leave the opposition in his wake. He has all those great attributes and yet he’s still only 18 years of age, he’s got so much improvement still to come and who knows how good he can become in a few years time with a bit of regular football under his belt. It is a major mistake not to give the youngster what he wants in contract negotiations. Obviously, the club has to stick to a certain pay structure, but surely they could have made an exception for such a talented young player, especially as they knew he would leave for a Premier League rival. Yes, West Ham strengthened their midfield this summer with both Jack Wilshere and Carlos Sanchez arriving, so they won’t regret selling him immediately but give it a few years and Quina could be one of the best young midfielders around.